I’m happy to report that I’ve survived my first two and a half weeks in Guyana and am doing very well! I’ve mostly been working in the schools for the past week or so. There are three schools in the village – a nursery school, (sort of like Kindergarten), primary (grades 1-6), and secondary (grades 7-11). I’ve been spending most of my days in the primary school, either observing classes and helping students with their work, or filling in for teachers who are away for a day or late for work. 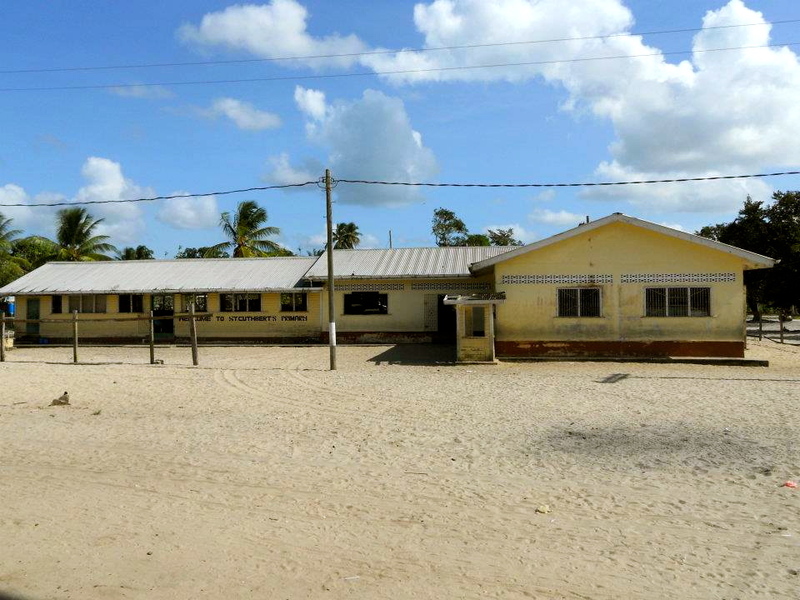 The school is basically just a long wooden building with concrete floors. The classrooms are separated only by a blackboard, so there are no sound barriers whatsoever! There are six different classes all going on at the same time, and as you can probably imagine, it gets pretty noisy in that building! There are some really great kids in that school and many are very eager to learn, but the environment they’re trying to learn in makes it pretty difficult to focus on anything! Sometimes I can’t even hear myself trying to teach, so it’s really no wonder that the kids have a hard time concentrating and lose interest quickly! Another obstacle is the lack of supplies in the school. Most of the classes do not have individual desks and chairs for students, and many of the tables and benches are in pretty bad condition. In the grade 3 class that I’ve been helping in, most of the students sit at one big table all together, which gives them the opportunity to distract each other and tune out of the lesson. A lot of kids also don’t have pencils or notebooks to write in, and they use razor blades as pencil sharpeners!! I’m glad I brought some pencil sharpeners and extra pencils with me! I’ve been finding my first few days of teaching a bit challenging, but also very inspiring at times. It’s a wonderful feeling to see the faces of kids light up when they figure something out all by themselves, or with just a little encouragement. Unfortunately, we’re also quickly realizing that education here isn’t really considered a priority by many. Apparently St. Cuthbert’s is ranked one of the lowest schools in the country based on the recent test results of its students. Many of the students are a few grade levels below what they should be in subjects like English and Math. The Grade 4 teacher says many of her students are only reading at a Grade 1 level! So I’ve been trying to find ways to help those kids who are furthest behind and can really benefit from extra support. In other news, we’ve already had two different couples in the village invite us over for dinner this past week! Both meals were delicious – roti & chicken curry one night, and fried plantain and fish the next! Today we went for a hike and explored another part of the village with Kelly, an American Peace Corps volunteer who’s been in St. Cuthbert’s for almost a year. She took us to one of her friend’s houses to retrieve some coconuts! So I can now say I’ve had my first taste of coconut water and jelly, and it was pretty delicious! I’ve also gone swimming in my first black water creek! It’s a pretty strange feeling standing in the jungle shampooing my hair! But I love it. 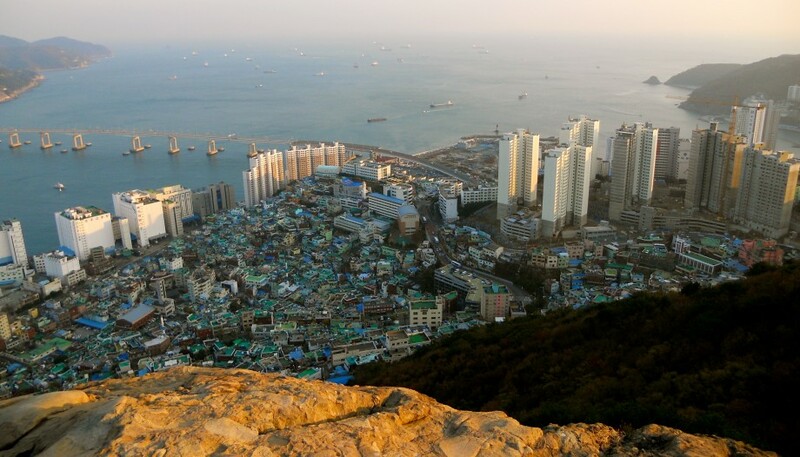 We usually go on the weekend, as it takes about 10-15 mins to walk each way. The vegetation is not as lush in St. Cuthbert’s as it is in many other parts of the country, so we are not actually in the Amazon here, but it definitely still feels and looks like the wild! There are some pretty tall/weird looking trees and a lot of long grass everywhere! It’s a nice change of scenery for sure! I am loving the weather here as well! We don’t have any way of knowing the temperature, but I’d guess that it’s been at least 30°C most days. It’s been pretty rainy the past week or so, and the rain storms here are pretty intense!!! They come up out of nowhere – it’s very interesting. We don’t have running water in the house that we’re living in, so we bring in buckets of cold water to shower with from the water tanks at the back, and have to pour water into the toilet bowl to flush it. All our drinking water has to be filtered or boiled first, so it’s been interesting getting used to that! The electricity comes on just after 6 every night, and we have about 4 hours to charge our cameras or use the computer. 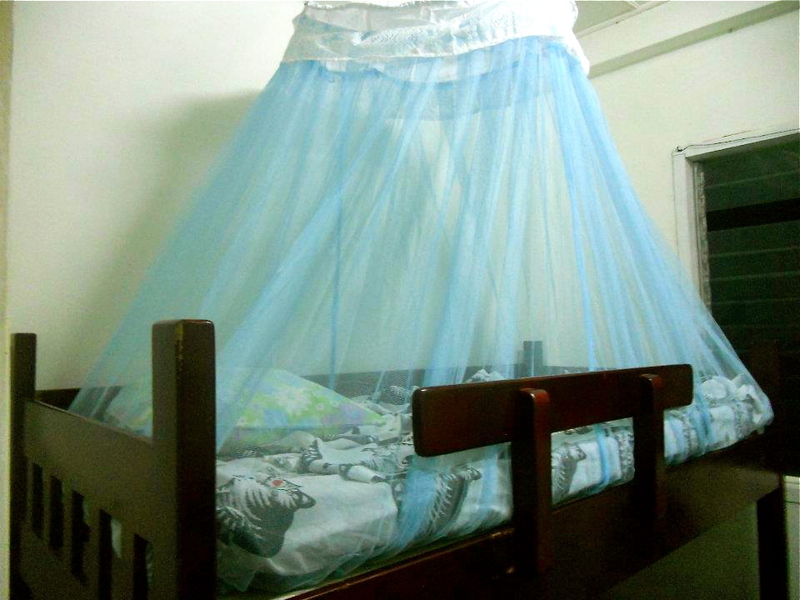 We sleep in bunk beds with mosquito nets hanging over our beds, and so far I haven’t been eaten alive by bugs too badly!!! There are some interesting creatures living in our house though! 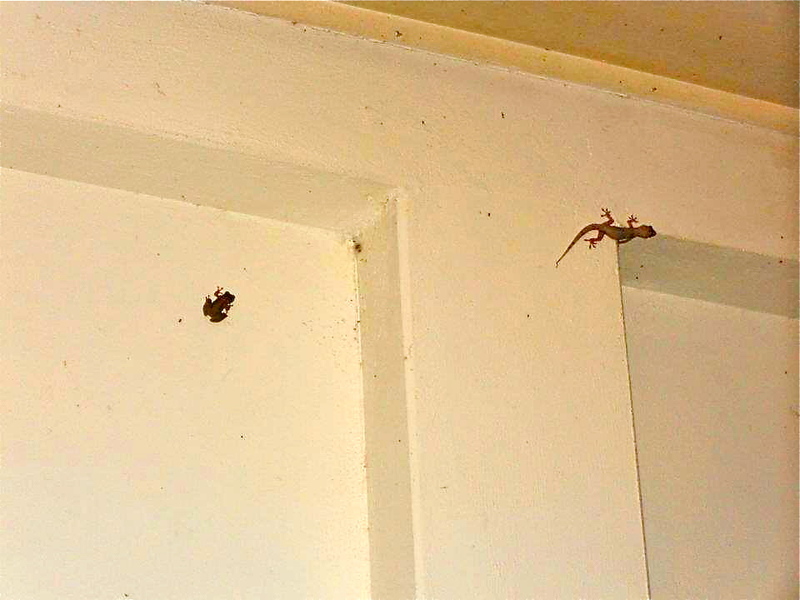 We’ve already seen some tiny lizards on the walls, along with huge spiders, and a frog in the toilet! I usually sit in bed under the safety of my mosquito net to read with my headlamp after the lights go out! Another thing I’m finding is hard to adjust to is the lack of a garbage disposal system in the village. All garbage here is either burned or buried. Unfortunately, it’s not uncommon for garbage to be thrown into the bushes, or to see it laying around the village. It really takes away from the natural beauty of the landscape in a way! Anyway, I better stop there for now. If you’ve made it through to the end, congratulations! Haha. And thanks for sticking with it! Our house guests playing tag!